Sometimes ‘showing’ is definitely more helpful than ‘telling’. That’s where our free Sample Pack comes in. 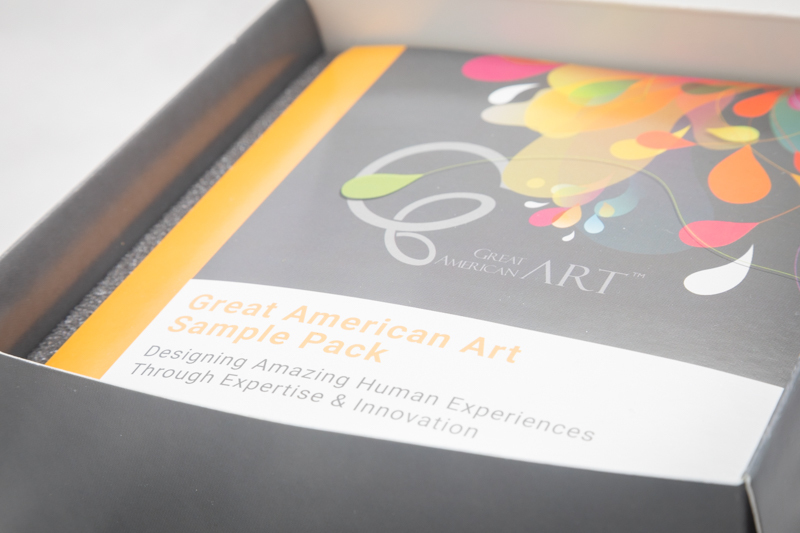 The Great American Art Sample Pack is designed to provide a hands-on experience with a diverse selection of substrates. It helps to not only showcase how colors and images interact with the different materials, but it also functions as an idea engine. “I didn’t know you could do this with art!” is something we hear a lot. It’s an exciting moment. What Isn’t The Sample Pack? It is not a selection or art tools or supplies. Great American Art is not a manufacturer of art tools or supplies like paint brushes, pens, pencils, paint, etc. While we’d love to be able to directly support anybody wanting to pursue artistic creation with premium art supplies, it’s just not what we have to offer. 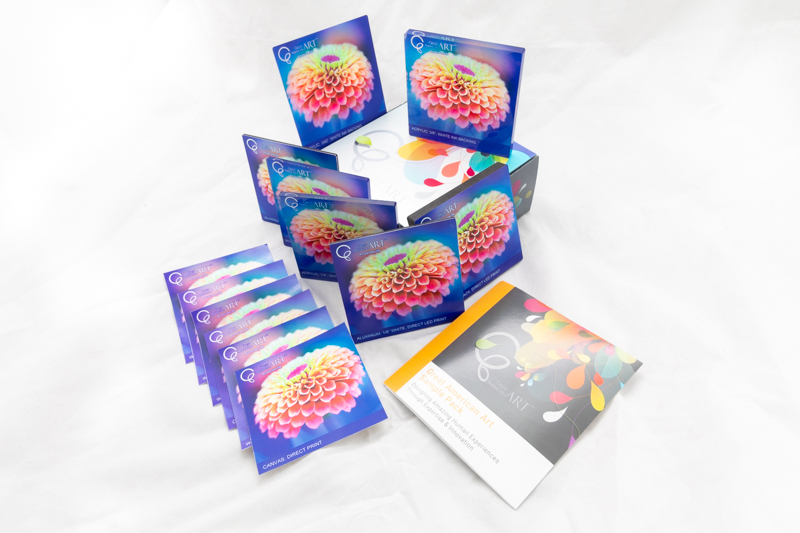 Instead, this Sample Pack is meant for Great American Art dealers, architects and designers working on a project with a client, or anyone contemplating a new art program, who wants to get a hands-on experience with the different looks and feels that are available. Want to learn more about what Great American can do for you?